Roger Waters Claims Madonna's Eurovision Gig in Israel to "Normalise Apartheid"
Pink Floyd founding member Roger Waters is an outspoken supporter of the pro-Palestinian BDS movement and has repeatedly accused Israel of violating the Palestinians' human rights. Roger Waters has doubled down on his criticism of the 2019 Eurovision event, which is scheduled to take place in Tel Aviv next month. Europe's most popular song contest, Eurovision is traditionally held in the country that won the previous year's competition. Israeli singer Netta Barzilai was last year's winner, which enabled her country to host the competition for a third time; Jerusalem hosted the event in 1979 and 1999. Waters, however, accused Eurovision of "betraying" humanity and stated that a person's commitment to the UN Declaration of Human Rights obliges them to support their "brothers and sisters" in their fight for human rights. "In the context of the current conversation about the location of the Eurovision finals and the participation of Madonna and the other performers, the brothers and sisters in question are the people of Palestine who live under a deeply repressive apartheid regime of occupation and do not enjoy the right to life, liberty and self-determination," he wrote in a letter published in The Guardian. In 2004, a group of Palestinian luminaries launched a campaign advocating a boycott of academic and cultural ties with Israel so as to stop what they described as the oppression of Palestinians by the Jewish state. This campaign constitutes part of the broader Boycott, Divestment and Sanctions movement, which seeks to subject Israel to political and economic pressure in retaliation for alleged human rights abuses. 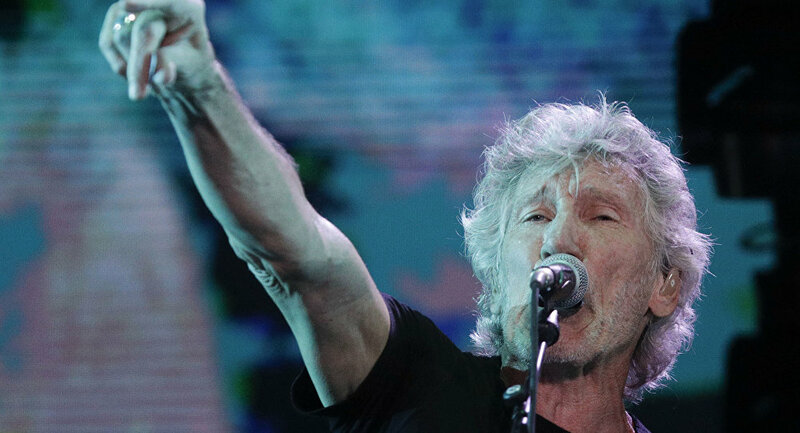 The former Pink Floyd frontman reaffirmed his support for this campaign — and claimed that artists who do otherwise pander to Israel's alleged oppression. "To perform in Israel is a lucrative gig but to do so serves to normalise the occupation, the apartheid, the ethnic cleansing, the incarceration of children, the slaughter of unarmed protesters… all that bad stuff," he added. Waters also denied that his criticism of what he believes to be Israel's violation of human rights constitutes anti-Semitism: "That accusation can be used as a smokescreen to divert attention and discredit those who shine a light on Israel's crimes against humanity." Early this year, he delivered a similar message together with fashion designer Vivienne Westwood and 50 other artists. It came months after another 140 artists called for a boycott of the Eurovision in Israel. Waters' rhetoric prompted a number of Jewish organisations to urge his sponsors to pull support of his tour over his perceived anti-Semitism. A UN commission report in February said Israeli forces may have committed war crimes during last year's protests at the Gaza border, when some 180 Palestinian residents of Gaza were killed by Israeli army fire. Tel Aviv branded the report "hostile and mendacious", citing Tel Aviv's "right to self-defence". It became another development in the decades-long Israeli-Palestinian conflict, which is rooted in their inability to establish an independent Palestinians state in the territories of the West Bank and the Gaza Strip. Israel has imposed an air, land and sea blockade of the Gaza Strip which has already lasted over a decade, justifying the decision by saying it needs to protect its citizens from terrorism.